clay water bottle keeps drinking water fresh made by natural clay. Beautiful painting in hand made Clay Water Bottle. 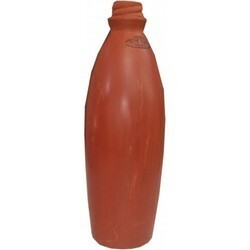 From our wide consignment, we are affianced in supplying Clay Water Bottles. Clay water bottle Keeps the water cool naturally. 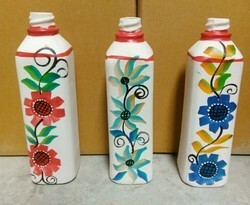 Beautify your water serving jugs with hand painted clay bottles. These will keep the water cool and also look unusual yet beautiful while serving.